Of all the great aviation stories out there, my favourites are the ones that take me completely by surprise. And so it was with this. It begs the question – where were “our” helicopters? Well, they were Korean War debutantes, like swept wing jet fighters . . .
And that’s the thing. Conditioned by the success of Nazi technologies like the V2 rocket and jet-powered Messerschmitt Me.262, it’s easy to assume Germany stole the march on rotary wing flight too, until the Allies captured their research. 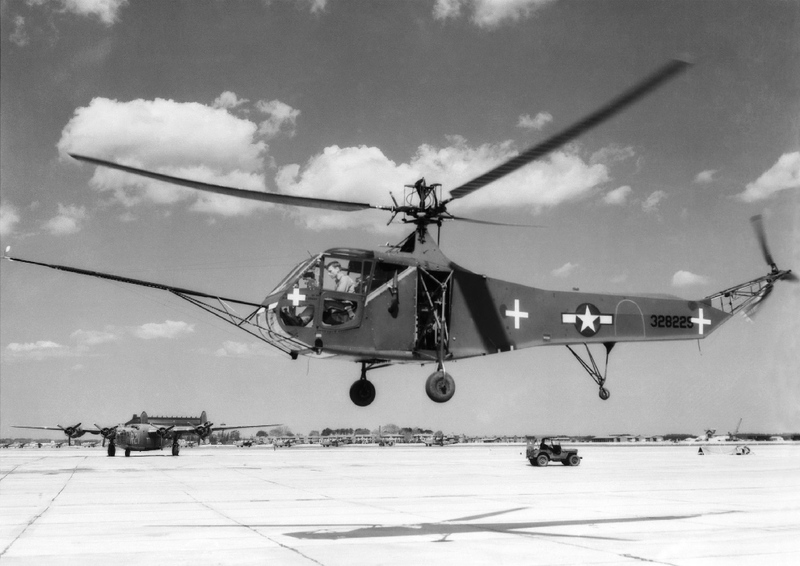 The world’s first mass produced helicopter was actually the American Vought-Sikorsky R-4B, a two-seater with a single, three-bladed main rotor and anti-torque tail rotor. 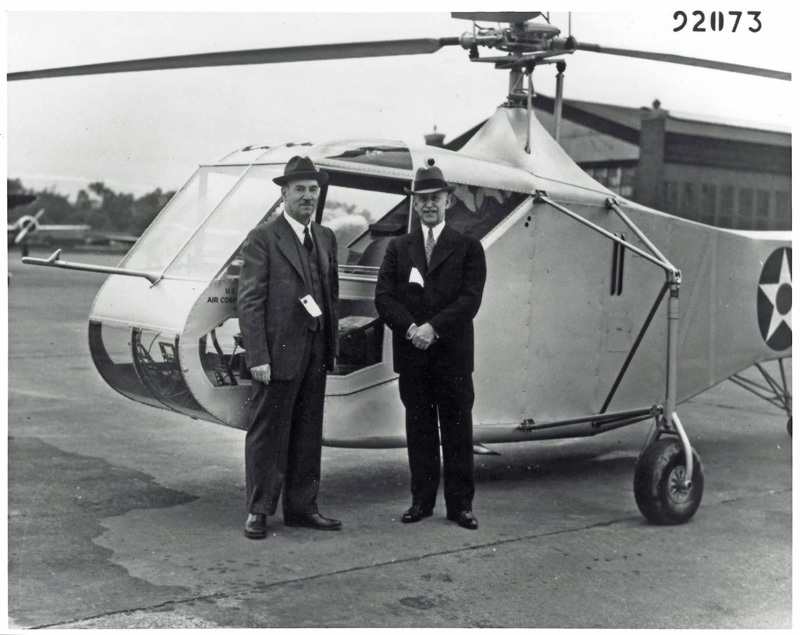 It was the ancestor of all modern helicopters, designed by their genius grandfather Igor Sikorsky. The first of them all was the XR-4 (‘R’ for rotary), which first flew on January 14th, 1942 and was accepted by the US Army on May 30th of the same year. 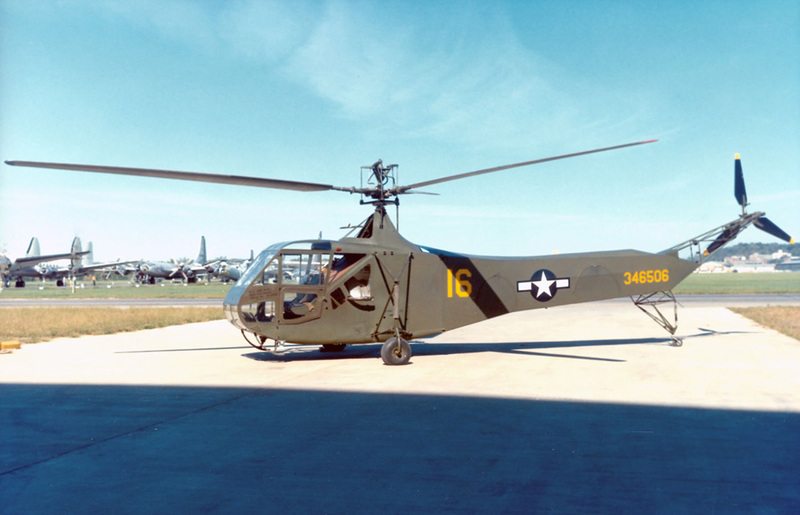 But first, it had to be moved from Sikorsky’s Hartford, CT factory to the Army’s flight testing facility at Wright Field, OH – a record-setting 761 mile (1,225 km) cross-country odyssey. So, enough preamble . . . Let’s go for a ride! This story begins on May 13th, 1942, in a little triangular meadow close to the Sikorsky Aircraft factory in Stratford, Connecticut. It was a bright morning, slightly on the warm side, with a gentle spring breeze barely stirring the leaves of the stately elms that bordered the field. Grouped along the road were a couple of dozen workers from the plant. 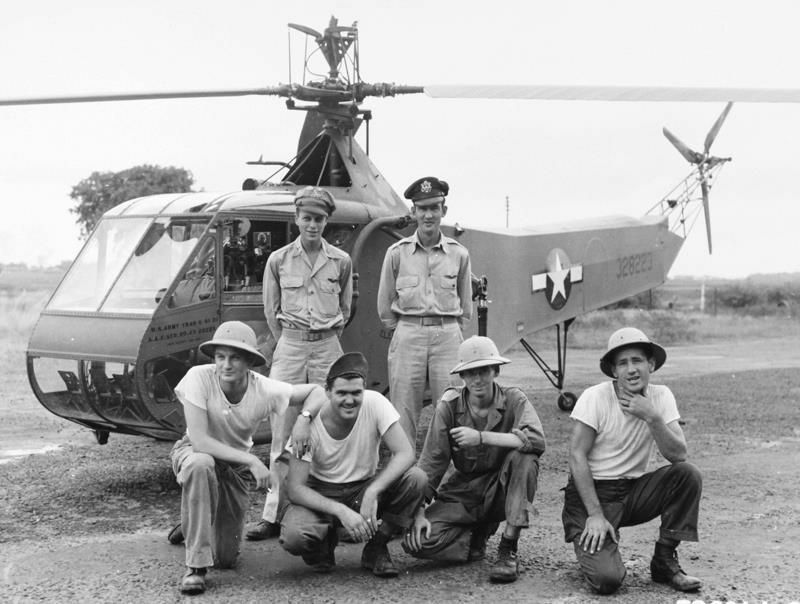 Their interest was focused on the aircraft in which I sat, making arrangements to take off on the first cross-country helicopter flight in the Western Hemisphere, and the world’s first delivery flight of a helicopter, as far as we know. It was a flight in which records were destined to be broken – but the records would not be recorded because we were forced to cloak this occasion in secrecy. I sat inside the blunt-nosed cabin, reading the instruments that would tell me when all was ready, arranging maps and my parachute harness, and watching the rotor flicking overhead in a powerful rhythm..
Several of my friends drifted out of the crowd and stuck a farewell hand in the open window. Mr Sikorsky stood nearby, nervously chewing at the corner of his mouth. His keen eyes flashed from under the familiar gray fedora as they searched every detail of the craft to detect any sign of flaw that might develop. I knew on this May morning that his vision would be doubly sharp. Mr Sikorsky was not wholly convinced of the wisdom of this flight; he felt that this ‘first-of-the-type’ should be handled with kid gloves and be delivered to Dayton by highway truck, thus eliminating the potential hazards of a cross-country flight in a totally novel type of aircraft that had less than twenty flying hours since its wheels first left the ground. It is understandable, therefore, that I experienced calm reassurance when Mr Sikorsky walked quickly to the ship, thrust out his hand and said, “Well, Les, today you are making history!”. The engine laboured and roared its crescendo as I pulled upward on the pitch control to rise off the ground. The ship lifted vertically to ten or fifteen feet; then I eased forward on the stick and we started off across the field. Sweeping in a gentle circle, we swooped low over the clump of upturned faces and waving hands – then on over the factory in an easy climb to 1,500 feet. An automobile with a large yellow dot painted on its roof was already speeding out of the factory gate. That car was to be my shadow for the next five days. 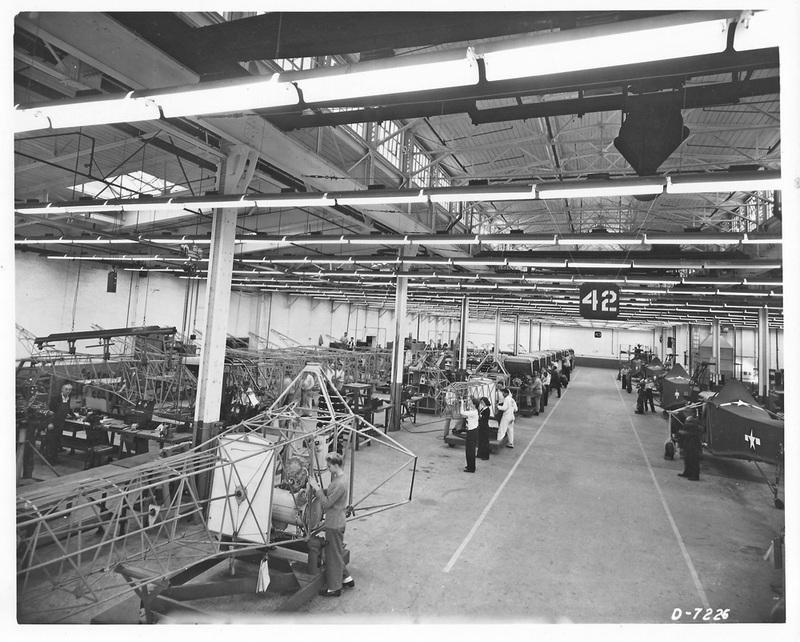 In it were Bob Labensky, the project engineer who had cast his lot with the penniless Sikorsky of nineteen years ago; Ralph Alex, his assistant, who had laboured endless days and nights to bring this craft to flying condition; Adolph Plenefisch, shop foreman, who had all but lived with the Sikorsky helicopter since the first nerve-wracking flights of 1939; and Ed Beatty, transportation chief, who had elected himself to be the driver. I quickly lost them in the elm-tunnels of Stratford, but my maps were marked with the exact route they would take, so I followed it closely, always ready to land in some little field beside the road should the slightest thing go wrong. They would see me as they drove by, and delays would be minimised. Danbury came in sight a little behind schedule. I was flying at 2,000 feet now because the land was rising. At that altitude a moderate headwind was slowing my speed. Sixty miles an hour had been chosen as the best cruising air speed for the flight – easy on both ship and pilot. A fifteen-mile headwind made a big difference – only 45 true ground speed. At this point I began to worry about the oil temperature. The day was hot and getting hotter, and the oil had been slowly heating up until it approached the danger zone. It passed 80 degrees (Centigrade) and crept on up toward 85. I didn’t like it, and I watched it so closely that it didn’t occur to me until afterward that I was at that moment setting some sort of an unofficial record – flying a helicopter across a State boundary for the first time. As Brewster drifted slowly by, I began to edge southward, because straight ahead, as far as my eye could see from 2,500 feet, there was an unbroken stretch of forest. The highway to the south at least offered the promise of speedy assistance in case of trouble, so its winding ribbon became my temporary beacon. The open fields of the Hudson Valley caught my shadow like a giant whirling spider far below. I began to drop down for the scheduled landing at New Hackensack, just outside Poughkeepsie. I was 35 minutes late, and it was pleasant to see George Lubben’s shock of red hair come bounding out from the hangar as I hove in sight. George was at this first stop to give the ship a thorough going over. As I came in range of the field he was talking by phone with the ground party who had gotten as far as Brewster and called to check progress. On this first leg, besides crossing the State line, another record had been set, but not recorded so no official claim can be made for it: the national airline record for this type of craft was unofficially established at 50 miles (since no other helicopters in the Western hemisphere had flown any appreciable distance before). We might also have claimed speed and altitude records, although three weeks earlier I had gone 82 miles an hour and climbed to 5,000 feet in this same ship. Another airline distance record on this leg – 78 miles. From Albany to Utica was uneventful except for the pleasure of flying safely up the Mohawk Valley with the hills on either side often higher than the ship. I felt like the Wright brothers, looking down from my transparent perch above the house-tops. Farm-yards full of chickens and animals would suddenly become uninhabited as shelter was sought from this strange hawk – but the yards would quickly fill up again as house and barns ejected groups of human beings gaping skyward. World’s endurance record for helicopters exceeded on this leg: 1 hour, 55 minutes. (20 minutes longer than the existing record held by Mr Sikorsky.) Also, another four miles added to my previous airline distance record, bringing it to 82 miles.. It was a beautiful leg from Utica to Syracuse, marred only by my constant concern over the mounting oil temperature which now pushed close to 95 degrees. The sun was getting low in the west, the air was smooth, and a gentle tail wind puffed me on my way. I was fifteen minutes ahead of schedule as I came into the Syracuse airport and hovered in front of the hangar where I thought we were going to house the ship. Suddenly a guard burst burst around the corner to direct me where to go. He stopped and spread his eyes, his jaws and his feet simultaneously when he saw me awaiting instructions fifteen feet in the air. Recovered from his shock and reassured by my grin, he signalled me down to the other end of the field, and then dog-trotted along the ramp with the helicopter’s nose a few feet behind and above him. The first day had gone on schedule. The helicopter had proved itself an airworthy vehicle, capable of rendering true transportation. It had travelled 260 miles in five hours ad ten minutes without even beginning to approach its high speed. But a quick inspection of the ship at Syracuse revealed one difficulty in this particular craft that was to give us our share of worry in the weeks to come. The transmission was heating up badly. It seemed strange that we should create a totally novel aircraft and run into no particular structural, functional or control problems – whereas a simple gear transmission, something that had been developed and used successfully in millions of applications during the last half-century, was destined to hound our every move. Off for Rochester the following morning, I kept the ground party and their yellow-spotted car in sight for several miles, but finally decided to cruise ahead at normal speed. It was a beautiful day, but the hot, calm air presaged thunderstorms. At the outskirts of Rochester, I noted that the main highway went straight ahead into the business district, while a small cross-road to the left led to the airport a few miles away. I lingered above the crossing, debating whether or not to hover there until our car came long and signal them the best route to take, but finally decided that in the interests of the over-heating transmission it would be best to go on to the port and check things over. Above the field, I headed into the wind and slowly settled down facing the open hangar doors. Several men working inside ran for their lives, expecting a crash, but when they began to see that there was no danger they reappeared from behind airplane wings and packing boxes and watched the landing with unconcealed amazement. A guard came over and advised me to taxi up in front of the control tower at the other end of the hangar line. He didn’t realise that in this strange craft a short flight was much more satisfactory than taxiing on the ground. His eyes popped open as I took off, still facing the hangar a couple of hundred feet away, and buzzed along lazily, ten feet above the ramp and four feet above his own head. The control tower was simply a square glassed-in box atop a fifty-foot skeleton tower out near the operations area. No ship may land without first receiving a green light signal from the control tower operator. It was fortunate indeed for me that my ship could hang motionless in the air, because when I whirred up in front of tower and looked the operator in the face he was so astounded that he left me hovering there for the better part of a minute before he stopped rubbing his eyes. Then, with a broad grin, he flashed on the green light. The transmission was still running pretty hot, so I decided to fly to Buffalo with the metal cowling removed from the sides of the ship for more air circulation. Off again, with a headwind and a promise of thunderstorms, I stuck close to the ground party so that if an intermediate landing was required they would be able to check the gear case a few minutes after landing. Down the highway we went together. I knew they were pushing along at a good speed (they said later it was often close to seventy-five) and I was hoping a State trooper would pull them over. It would have been fun to hover a few feet above them while he was bawling them out or giving them a ticket. No trooper showed up, however, so I had to content myself with flitting ahead to each cross-road to make sure there was no converging traffic to cause danger – then signalling them to proceed without worry at the intersection. As we approached Batavia, the sky to the west became darker, and occasional streaks of lightning sliced down through the black curtain a few miles away. I edged northerly for a time to see if I could get around the storm, but it was spreading out and cutting off my path. It looked pretty good to the south but I hesitated to get too far off course, particularly as I didn’t know what sort of conditions prevailed behind the storm front. I finally decided to land and sit it out. The car with its yellow dot had gotten itself misplaced somewhere in Batavia’s traffic and I wasn’t sure which of two parallel roads it would follow toward Buffalo. So I leisurely swung back and forth between the two roads, trying to spot my companions, keeping a weather-eye on the progress of the storm in the meantime, and picking out a likely-looking house with a telephone (I could see the lead-in lines from the road) where I could land and report my position. With this aircraft the size of the available landing field or its surface had no influence on where to land, the only factors being a comfortable house and a telephone. I failed to pick up the yellow dot on the highway (they claimed I flew directly over them several times) and after five or ten minutes the storm was getting too close for comfort. I swung in, then, to a nice green strip of grass about 75 feet wide between two ploughed gardens – near an old farm house. As I came to a stop 25 feet above the green turf, the lack of power which was this particular craft’s weak point became all too apparent. The ‘bottom’ seemed to drop out of it, and in spite of all I could do the ship settled rapidly to earth. Future ships will have an excess of power to cope with such unfavourable conditions as the calm, humid air before a thunderstorm, but I spent a few uncomfortable seconds wondering about the safety of this experimental baby. A quick check of the ship showed it to be unscathed by its experience. The occupants of the houses appeared relieved to see signs of human life around the aircraft. They were only too glad to let me use their phone. When the weather cleared and I was preparing to leave again, one of the farmers warned me quite persistently of a hidden ditch about 200 feet from the ship. I couldn’t make him believe that I would take off straight up, so I finally quieted his fears by assuring him, with thanks, that I would be careful. Another storm was skirted before Buffalo, but finally the airport loomed out of the haze. An airliner was about to land as I approached the control tower, and the man in the tower could not be expected to guess that this queer contrivance would not interfere in the slightest with the airliner’s landing – so he gave me the red light. A short circle of the hangars brought me back over the tower a second time and, although the airliner was already on the runway, the tower man realised I saw it so he flashed me a green signal for landing and left it up to me. I settled in slowly over the hangars while a sea of faces gaped upward. I purposely over-shot the edge of the ramp by twenty feet – and then backed up onto it. Due to the long string of thunderstorms between Buffalo and Cleveland, further flights were cancelled for the day and arrangements were made to store the ship, with armed guards standing by all night. Next day the usual weather prevailed in the pocket below Buffalo – very smoky, hazy conditions cut visibility to less than a mile for a time – but I steered my course half by compass and half by highway because I wanted to be near the road that the ground party was following. Once, as a towering mast loomed out of the murk, I became impressed with the value of an aircraft that could come to a complete stop in mid-air if necessary. The lake shore finally came into view, and I followed it without incident to the government’s intermediate field at Dunkirk. The field was still wet from the storms the night before, and the attendant was dumbfounded when I hovered about until I found a high spot near the building where there were no puddles to step into. The transmission was no better and no worse than before, and I decided I could take one of the ground party on the next flight. A flip of the coin chose Ralph Alex, and we were soon on our way to Erie. The clouds were still quite low and nasty looking. In any other aircraft I would have been uncomfortable. It was on this flight, in the middle of a driving rainstorm, that a helicopter passenger was carried for the first time across a State line. Erie at last. We hovered for a while in front of the hangar before landing – but we missed the best opportunity of the trip. One of Ralph’s pet tricks was to jump out of the ship while it hung a few feet off the ground. Why didn’t we think to do it here, and then enquire the way to the gas pump? As it was, we landed and I sidled over to the pump later. Weather forecasts were bad. The high winds, upward of thirty to thirty-five miles per hour, we were not yet prepared to face, particularly if they were headwinds as promised. So we stowed away at Erie for the night. The next day, we took off in the face of a twenty to twenty-five mile wind, because the forecast showed the probability of worse weather to come, and we had a good chance of avoiding it if we got on to Cleveland. A few minutes out of Erie I realised the transmission didn’t sound the way it should, and, furthermore, I could occasionally feel through the rudder pedals a kind of catching as though small particles of matter were getting caught in the gear teeth. After a few minutes, it seemed the best policy to land and confer with the ground party. When the ground party arrived, it was decided that Bob Labensky would make a short flight with me, and we would continue along the road until he had a chance to analyse the trouble. 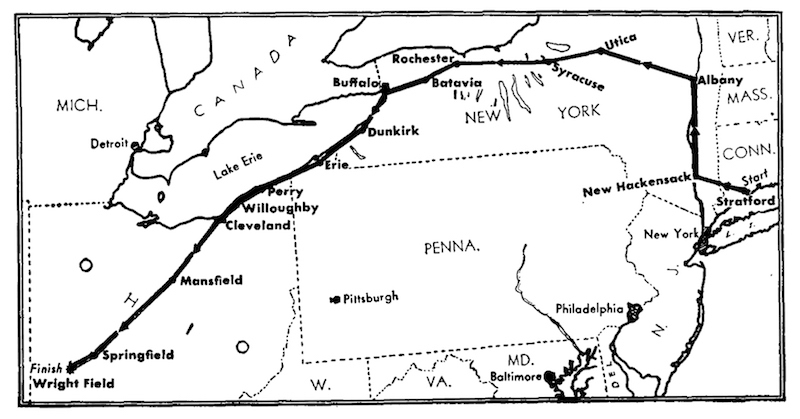 If it was serious, we would land again – if not, we would proceed to our next scheduled stop, Perry, Ohio. Poor Bob. He was convinced the flight would be short, so he didn’t bother to get the extra seat cushion out of the car. For one hour and twenty-five minutes he sat cramped up on a hard metal seat with the circulation cut off from both legs. During this whole flight four ears were cocked for untoward noises – and none appeared. Analysis some time later led us to believe that the extra passenger weight was sufficient to change the loading on the transmission so that it performed satisfactorily. Actually, however, it was slowly chewing itself to pieces and had to be replaced shortly after arrival at Dayton. This was the roughest leg of the entire trip. 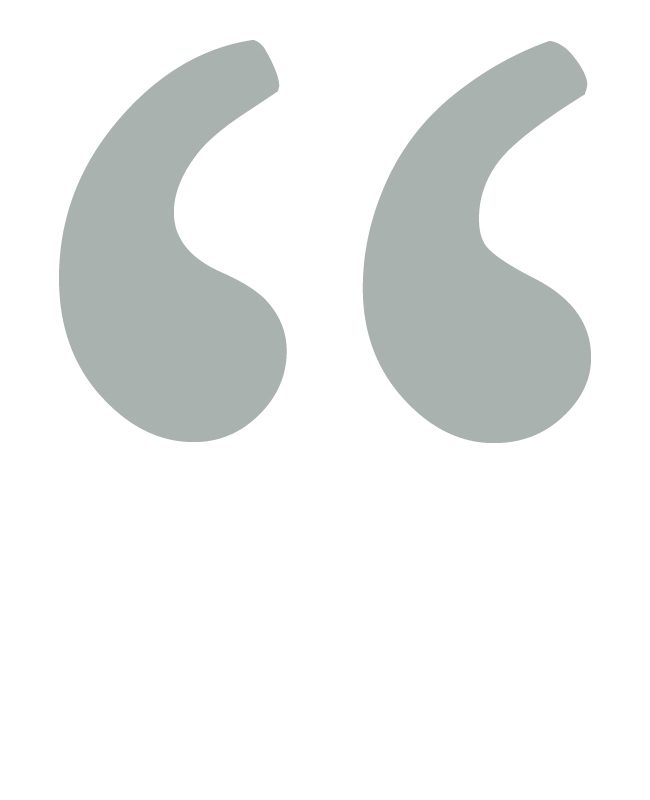 The wind was gusty, varying from twelve to twenty-nine miles an hour. It was dead ahead, so I chose to fly closer to the ground in order not to get into the stronger winds at higher altitudes which would slow us down considerably more. But close to the ground we got the full value of all the ground ‘bumps’. Whenever I would see a ravine ahead I would brace myself for the turbulence that was sure to be over it. Every patch of woods had its own air currents; and to the leeward of a town or village the air was extremely choppy. The delivery flight of the Sikorsky XR-4, from Stratford, CT (May 13th, 1942) to Wright Field near Dayton, OH (May 17th, 1942). Many times we would lose 75 to 100 feet in a down-gust – and we were only 300 feet above the ground most of the time. Once I watched the altimeter drop 180 of those precious 300 feet – and toward the end of the drop I started veering toward an open field, just in case it didn’t stop. But the ship behaved beautifully. It didn’t pound and pitch. All it did was float up and down, and get kicked around sideways. There were no sudden shocks, and even when it yawed to one side or the other, it was not necessary to use rudder to straighten it out. Given a few seconds, it would come back by itself. About the time Bob began to search his limbs for signs of gangrene, Perry airport came in sight, and just a couple of minutes later he crumpled out of the ship, looking for all the world like a new-born calf trying its legs for the first time. No gas at Perry, but we still had enough in the tank to get to the small private field at Willoughby. One fellow said that when he saw the ship coming in, he dashed to get a movie camera from his car – but when he noticed the Army star on the fuselage, he promptly changed his mind. Such was the spirit of the flight. Off on the last leg to Cleveland. Although the weather was a little better, this was a difficult section because I didn’t want to fly over congested areas quite yet. A long sweeping circuit to the south carried me over the outskirts, but I had to use caution to avoid getting stuck in a bottle-neck of houses. Only once did I have a few uneasy moments when I had to follow a dual highway between two close-packed communities, where a forced landing, even on the highway, might involve trees and telephone wires. But at last the Cleveland airport loomed ahead. Somewhere down there Mr Sikorsky would be waiting. An airliner preceded me into the field, and I realised when I saw the green light from the control tower that they expected me to follow him in and land on the runway. But that was not the way of this craft; if I had landed out in the middle of the field, I would have had to take off again to get in to the hangars. My procedure was to fly down the hangar line until I discovered the one where storage had been arranged, and then land on the ramp in front of it. As I meandered along in front of the hangars, fifty feet in the air, the green light still followed me. I could almost hear the tower saying, “Get that – – – thing down!” He held the light until I got close to the tower, then finally gave up. I hovered momentarily out in front of him, grinning to see what he would do. He was scratching his head… reached for the light again, thought better of it, and finally with both hands signalled me vigorously ‘down’. I laughed and continued my perambulations. In front of one hangar there appeared to be more commotion than usual, so I headed that way. 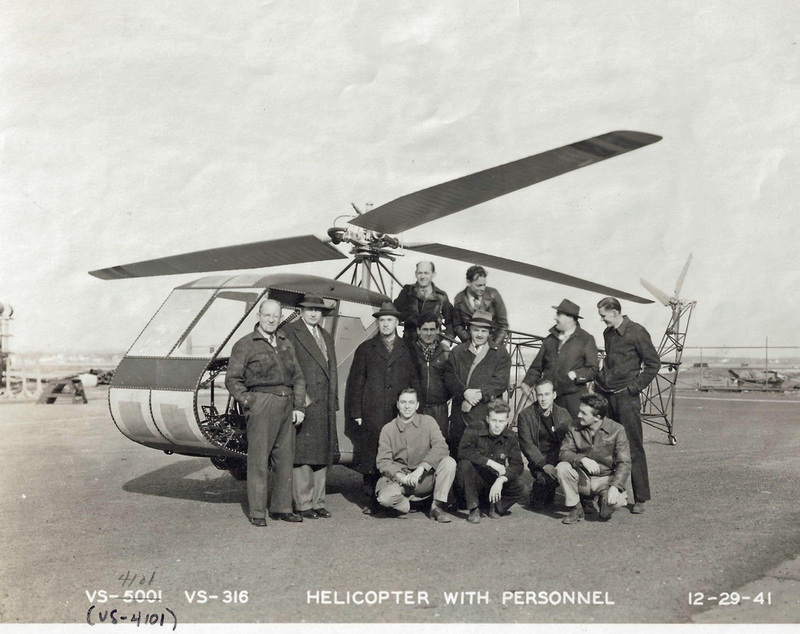 There was our crowd – Plenefisch and Walsh, the hangar crew – and there, apart from the rest, stood Mr Sikorsky. He waved happily, and beamed with a broad, almost childish smile. A space had been cleared between the ships on the ramp, and I settled easily into it. The weatherman hadn’t been very hopeful about the weather from Cleveland to Dayton, but it turned out to be a beautiful, warm Sunday morning with a gentle breeze and high puffs of clouds. Mr Sikorsky was to join me on the flight from Cleveland to Mansfield. We didn’t want to have him repeat Bob’s discomfort of the previous day, so we gave him a cushion. After the take-off we hovered for a minute or two in front of the hangar, then turned and started south while the ground party in the car was still getting under way. When we were set on the course, I turned the controls over to Mr Sikorsky. It seemed strange for me to be telling Mr Sikorsky anything about flying a helicopter, since he had made all the early flights with the original experimental model, and as a matter of fact, had taught me to fly it. The answer, of course, was that he had been too busy to spend much time at the controls of this later model. 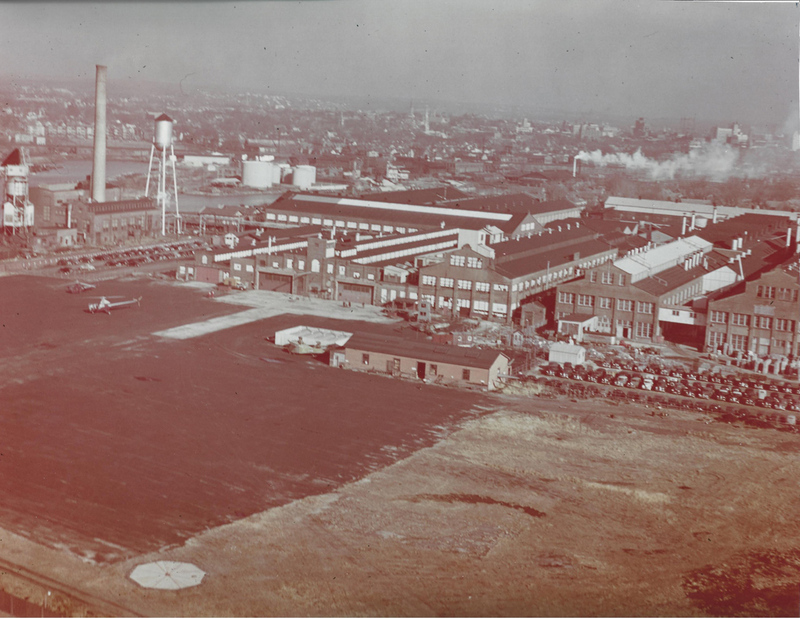 He had only handled them for two or three minutes during one flight at the plant, but he quickly caught the feel of it – and from there to Mansfield I was simply the navigator. Since he had never landed this ship, he handed the controls back to me as we approached Mansfield airport. We landed close to the other ships and he stepped out. After a moment, he walked back to me: “Les, how are you going to get the ship over to the gas pump?” I looked at the solid line of airplanes deployed between our craft and the pump. The clear space around the pump was about 75 feet square, and a quick jump was all that was necessary. I took off alone for Springfield. It was the longest flight of the trip, 92 miles airline. The day was quite warm, and we were still not too sure what was going on inside the transmission so we thought it best to have the ship as light as possible. The miles slipped by uneventfully, and in due course the Springfield airport was below me. A small training ship had just landed as I came in over the edge of the field, and he began to taxi toward the hangar at the far end, unaware of my presence. So I slowed down and kept just behind him about five feet high as he bounced slowly along. When he reached the ramp, he turned to line up with the other ships and I saw him suddenly slam on his brakes and stop dead in his tracks. While I waited for the ground party, an Army ship circled the port. It brought Lieutenant Colonel H.F. Gregory, who deserves more credit than anyone else outside our own small group for the creation of this craft. 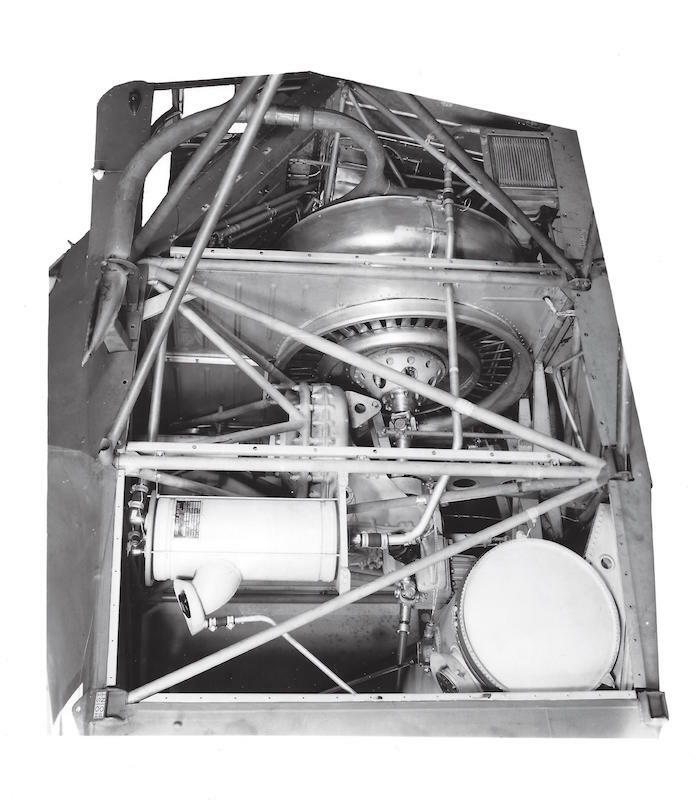 The side cowlings which had been removed from around the gear case to give better cooling on the trip were buttoned on for the dress parade to Wright Field. Colonel Gregory phoned that we would be in at 3.40. The engine was started, and Mr Sikorsky again took the seat alongside me. Off we hopped, with Colonel Gregory not far behind in the Army ship, and Bob Labensky just behind him in a ship hurriedly chartered at the airport (for which the pilot wouldn’t accept compensation). In fifteen minutes Patterson Field was below us, and as we looked over the top of a low hill, Wright Field came into view. “There it is, Les,” shouted Mr Sikorsky. His face twitched just a little and we exchanged another warm handshake. A couple of minutes later we were circling the buildings. I couldn’t resist the temptation to zoom low over the ramp, just to show that we had arrived. Then we circled back and hovered in the space that had been cleared for us a few feet in front of the operations office. My Sikorsky waved joyfully to the sizeable welcoming group that had gathered. The landing was made on a red-topped gasoline pit surrounded by surrounded by airplanes of every description, from the mammoth B-19 bomber to the tiny little private airplanes that were being considered for various military uses, and My Sikorsky stepped out, proud and happy at the successful completion of an epochal mission. . .
Sikorsky YR-4B (c/n 29, USAAF s/n 43-28229) at NACA Langley, VA, in 1945. Note the tail wheel is further forward than on production R-4Bs. (NASA). As you might have guessed, this account was written by the XR-4’s pilot for its cross-country hop – Sikorsky test pilot Charles Lester ‘Les’ Morris. A Connecticut native, he was born in New Haven in 1908 and graduated from Yale’s Sheffield Scientific School in 1932. Before college, he learned to fly at the Curtiss Flying School on Long Island and, in 1931, became the Connecticut Commissioner of Aviation. 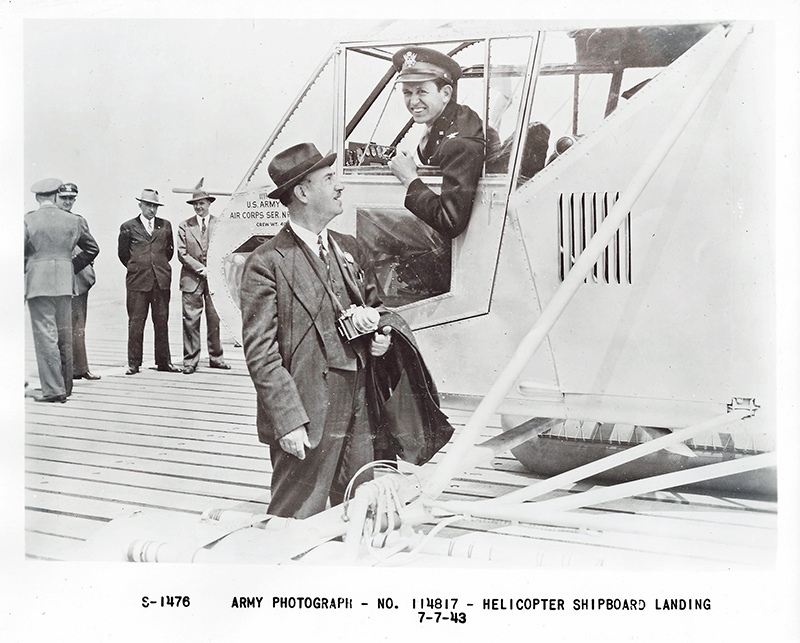 As such, he was invited to watch the first flight of Igor Sikorsky’s VS-300 experimental helicopter on May 29th, 1940 – where he awarded Sikorsky Connecticut Helicopter Pilot License #1. 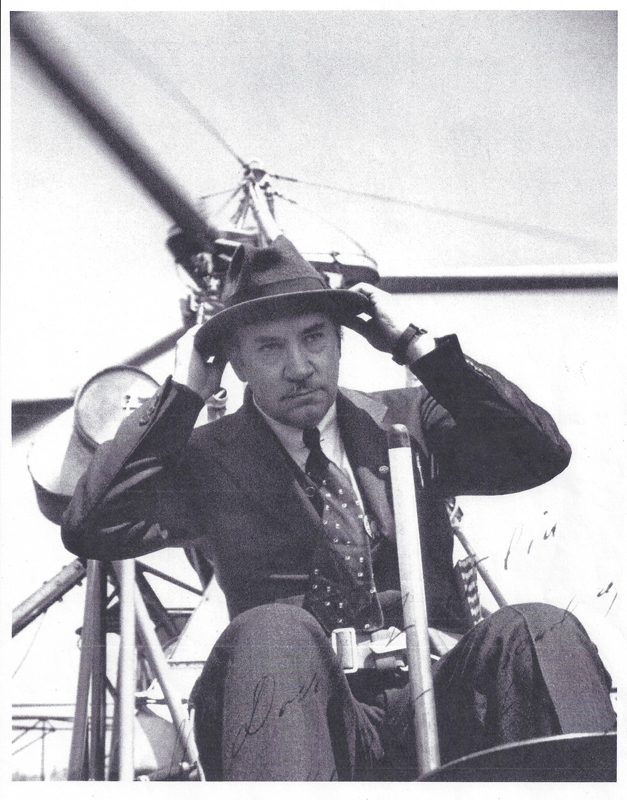 He was a close and enthusiastic supporter of Sikorsky ’s work from then on and, in January 1941 Sikorsky asked him to join Vought-Sikorsky as Helicopter Test Pilot. Morris jumped at the chance. He’d never flown a helicopter, and wouldn’t until May 12th, 1941 – making his appointment as test pilot rather unusual, and his cross-country flight of a year later all the more remarkable. 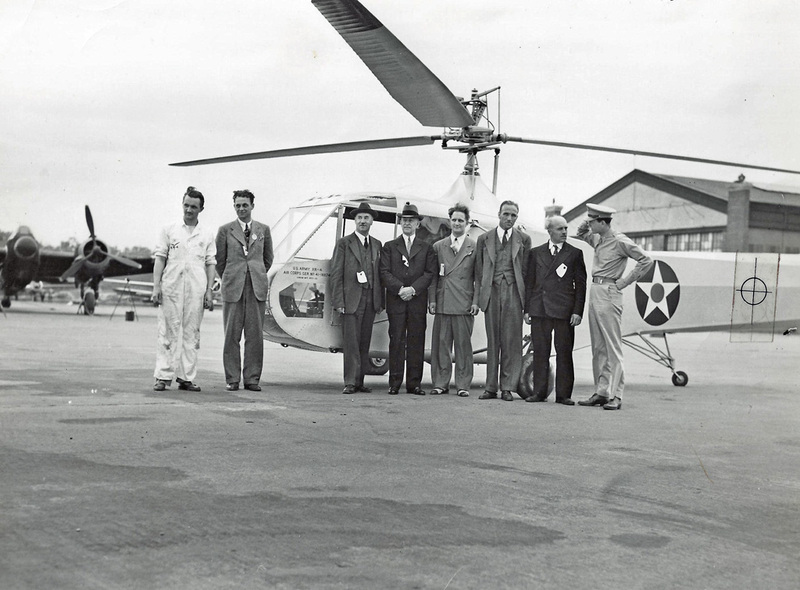 Les Morris would leave Sikorsky in 1944, but he remained prominent in the rotary wing community for most of his life. The American Helicopter Society made him an Honorary Fellow in 1971 and he passed away in 1991, aged 82. The XR-4, meanwhile, was used for evaluation and pilot training at Wright Field for the rest of 1942. 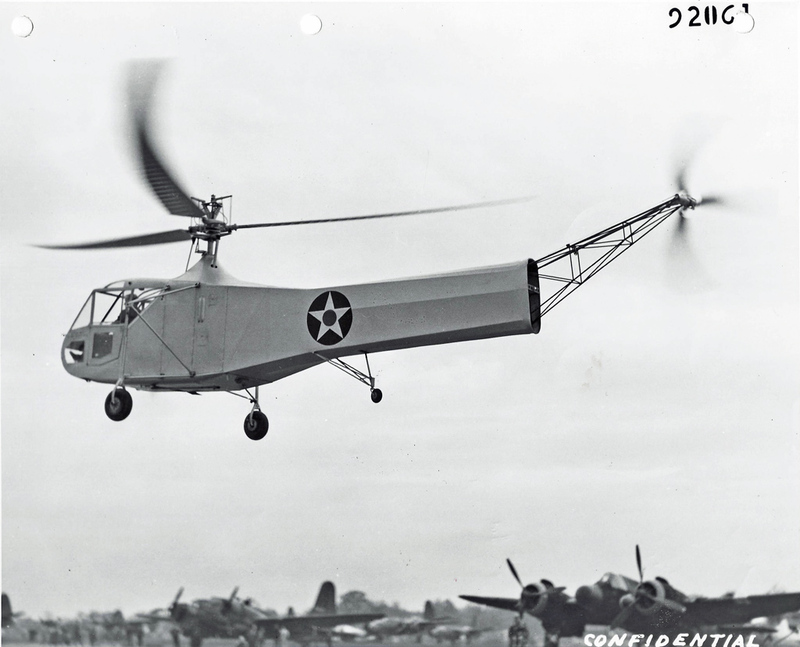 In January 1943, the Army ordered one YR-4A with a 180HP Warner Super Scarab 185 (R-550-1) rotary engine, then 29 YR-4Bs with a slightly larger main rotor. These led to the definitive R-4B (US Navy and Coast Guard HNS-1 and Royal Navy Hoverfly Mk.1), with various small design improvements and the 200HP R-550-3 Scarab, which was ordered into quantity production. R-4Bs performed various combat support missions in Burma (including flights at over 10,000 feet AMSL) and ferried aircraft parts between floating Aviation Repair Units in the South Pacific from 1944 until they were phased out by Sikorsky’s R-5 and R-6 helicopters from 1945. Images for this article (except where noted) were generously provided by the Igor I. Sikorsky Historical Archives. Do yourself a favour and pay them a visit. You may also like to join airscape in making a donation to help support this important collection. Les Morris’ original text first appeared in the March 1943 issue of Air Force magazine..
Les Morris bio info is from Just Helicopters. Another fantastic read. Thanks for Airscape! Great article, glad I found Airscape. That’s not a photo of the Vought Sikorsky plant in Stratford, Connecticut. Otherwise a very good article on a milestone in aviation history. Hi Tom, I’m always happy to be corrected. Do you know where it is, as well as where it isn’t? I think Bridgeport would be the only other contender? Next Next post: Win this book!